Microsoft is unveiling an ambitious effort to overhaul its search experience in Office, Windows, Bing and more today. Dubbed Microsoft Search, the new search experience will first start appearing on Bing and Office.com today. Bing isn’t going away, but Microsoft Search is the new name for a combination of Bing and the search results you might expect to find in Windows applications. It’s designed to combine traditional search results with commands, app features, and personalized results. Search is being moved to a central area in Office apps, allowing Excel users to find commands and features in results alongside documents and other search results. ”We think this is one of the most profound things we’ve done in a while,” says Jeff Teper, Microsoft’s corporate vice president of Office, in an interview with The Verge. Microsoft’s new search experience will be contextual per application, and will even integrate third-party services in 2019. 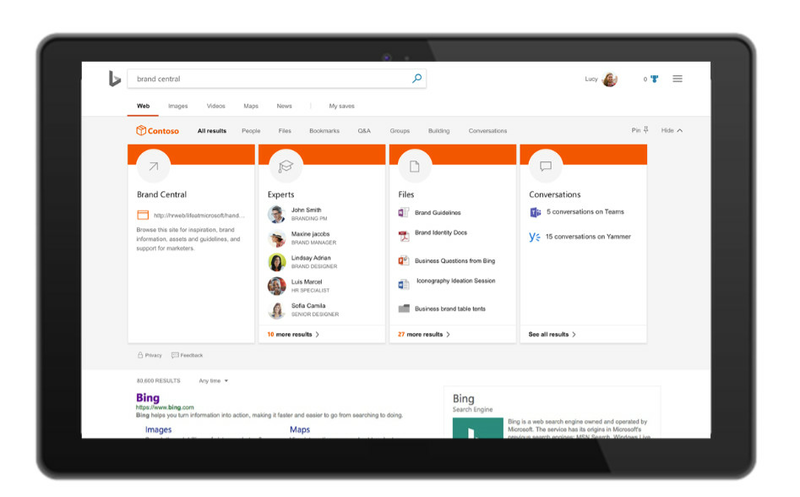 At first Office.com and Bing will surface local sites, files, and contacts for businesses at the top of search results. 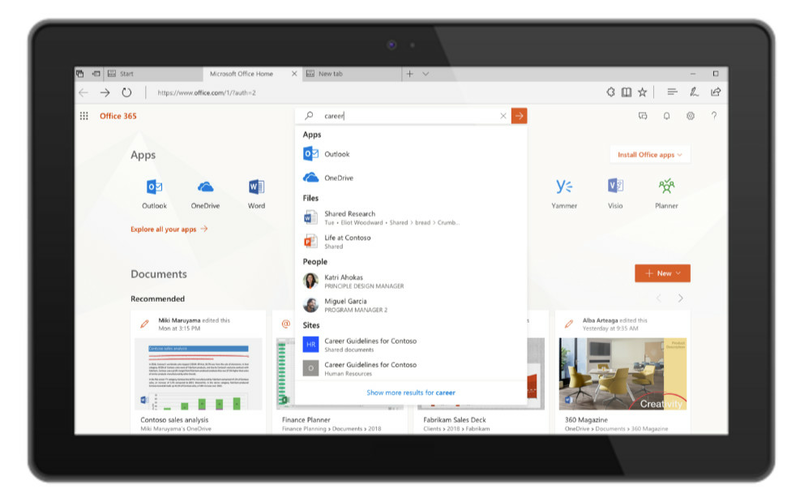 Next year the Microsoft Office apps will be updated to include navigation and commanding from the search bar. Microsoft Teams seems to be the biggest inspiration for this new search push. Microsoft added a command / search bar to the top of Microsoft Teams, and it allows users to quickly access app features or run commands in the chat app. I’ve always wanted Microsoft to improve its built-in Windows 10 search to offer more commanding and customizability for custom queries, and it sounds like we might eventually get something similar. Alongside its Office integration, Microsoft is also building this new search experience into Windows 10’s default search. In the first half of 2019, Windows 10 search will be updated to include local and organizational search results. This will become more powerful once third-party services and app connectors are also available in 2019. If you’re an Office 365 business user you’ll be able to preview the new Microsoft Search changes on Bing.com today or Office.com. These changes also tie into some bigger work Microsoft is doing to improve the general UI of Office apps to make them easier to use. Microsoft Search in Office applications and Windows 10 will debut in the first half of 2019.